You’ve learned about naming ionic compounds and a lot about what covalent compounds are like. Now, if you’re brave enough to face the challenge, it’s time to learn how to name covalent compounds. Step 1: Make sure the compound you’re trying to name is actually covalent. 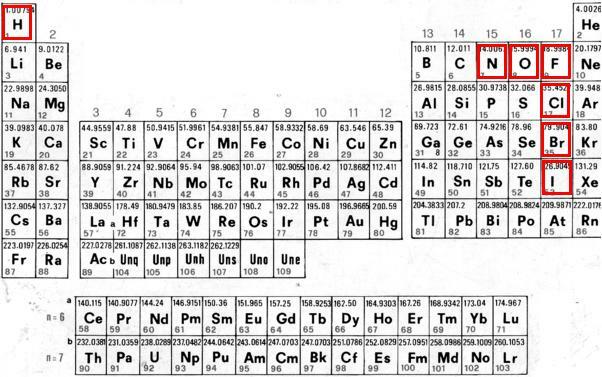 Step 2: Write the names of the elements in the order they’re shown. For example, if you see PF₃, write the words “phosphorus fluoride”. There will be no polyatomic ions or Roman numerals – just those two words. Step 3: Add prefixes to these names to indicate how many of each atom is present in the compound. In the case of PF₃, you can see that there is one phosphorus and three fluorine atoms. As a result, we don’t need a prefix for phosphorus (we assume that if there’s no prefix there’s just one of them) and the “tri-” prefix for fluoride to indicate that there are three atoms of it in the compound. Put it together, and you’ve got the name “phosphorus trifluoride”, which literally means “one phosphorus atom and three fluorine atoms.” Which is a pretty accurate description of PF₃. This is the only exception that you’re going to run into for covalent compounds, so don’t worry about it too much. To work backwards and write a formula from a name is even easier. After all, there will only be two elements and the number of atoms of each element will be told to you in the formula. As a result, “dinitrogen trioxide”, which means “two nitrogens and three oxygens” is written as N₂O₃. Diatomic elements: There are seven elements on the periodic table that are diatomic, which means that if they’re in their pure elemental form they have a “2” subscript written after them. These include hydrogen (H₂), nitrogen (N₂), oxygen (O₂), fluorine (F₂), chlorine (Cl₂), bromine (Br₂), and iodine (I₂). My own high school teacher told us to more easily remember the seven diatomic elements as “the big 7 and the weirdo.” I hated that guy, but he was right. Two other elements have unusual formulas: Phosphorus is P₄ and sulfur is S₈. Organic compounds: Compounds containing C and H atoms belong to a class of compounds known as “organic compounds.” You’re not likely to see much of that in general chemistry. Common names: Some compounds have common names that you’ll just have to memorize. These don’t hold to any particular rules – they’re pretty much leftovers from the old days when people didn’t know what compounds they had. If your teacher uses them, you should use them too. But he or she probably won’t use them much. If you’re interested in trying out some examples of your own, click this page of practice worksheets. And have fun with it! Periodic table: By Petergans (Own work) [CC BY-SA 3.0 (http://creativecommons.org/licenses/by-sa/3.0)%5D, via Wikimedia Commons, with red boxes added by me.